There are so many different materials used in pillows, but who’s to say which one is right for you? One popular option in today’s market are latex pillows. Latex is used to create a softer, bouncier, healthier pillow and has made its way into many of the popular pillows you see today. In addition to understanding the properties of latex, it helps to understand the differences among the fillings. 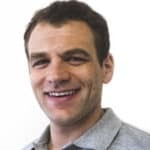 This review is aimed to help you leave better informed and ultimately help you make the right purchasing decision for the best latex pillow. Just want our top picks and recommendations? Click here to skip to the pillow recommendations summary. To help you find the best latex pillow, let’s start with explaining the many benefits of latex foam. In order to understand the benefits of latex, you must first understand where it comes from and the properties it possesses. 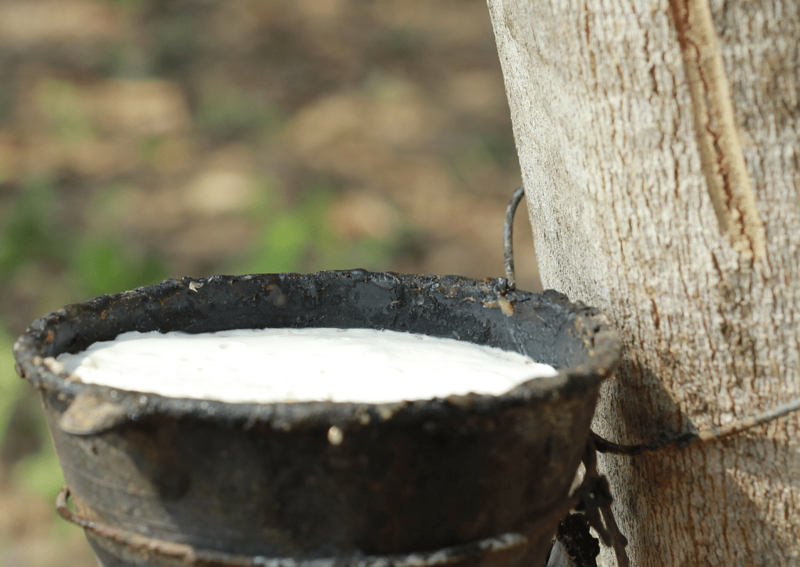 Latex is the sap extraction from a special kind of rubber tree, specifically the Hevea-Brasiliensis tree. This kind of sap, when processed into a foam, has a higher degree of elasticity, which creates more bounce and moldability without giving sleepers the “trapped” feeling they often experience with other foams. Aside from the bounce, latex is more durable than other materials used in pillows, which can lead to a longer lifespan. Latex may not offer the same “sinking” feeling as other foam pillows, but is great for providing the necessary support to keep your head, neck, and shoulders in proper alignment. Are you someone who places high importance on natural and organic materials? Being completely natural, 100% latex may be right for you. Completely natural latex is known to last just as long as—or in many cases, longer than—any other pillow filling and does so while remaining hypoallergenic and dust mite and mold resistant. These qualities make natural latex pillows one of the best organic pillows you can buy. GUIDE: Want more organic? 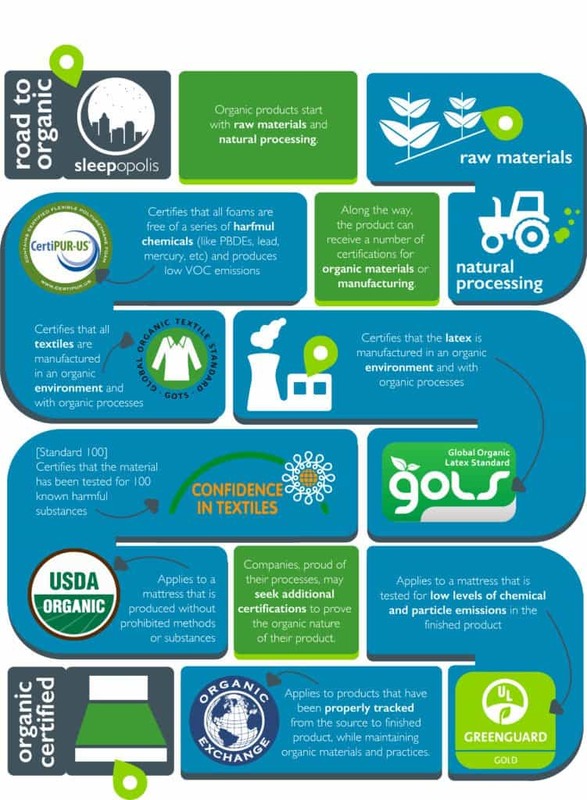 Click here to learn more about natural or organic mattresses. While natural latex may be more appealing, synthetic latex offers some desirable properties as well. Synthetic latex is produced from petrochemicals and aims to mimic the properties of latex. One of the benefits of synthetic latex is the price tag. Many times, synthetic latex will have a similar feel, but is also much less expensive. Of course, with the lower price may also come a shorter lifespan for synthetic latex pillows. Another difference between natural and synthetic latex is the smell. Natural latex is known for its minimal smell and can be a great choice for sleepers with odor sensitivities. Synthetic latex may have a bit more of a smell, but generally speaking, latex foams will have less of a smell compared to traditional memory foams. Many of the pillows you will see on the market today contain a blended latex. 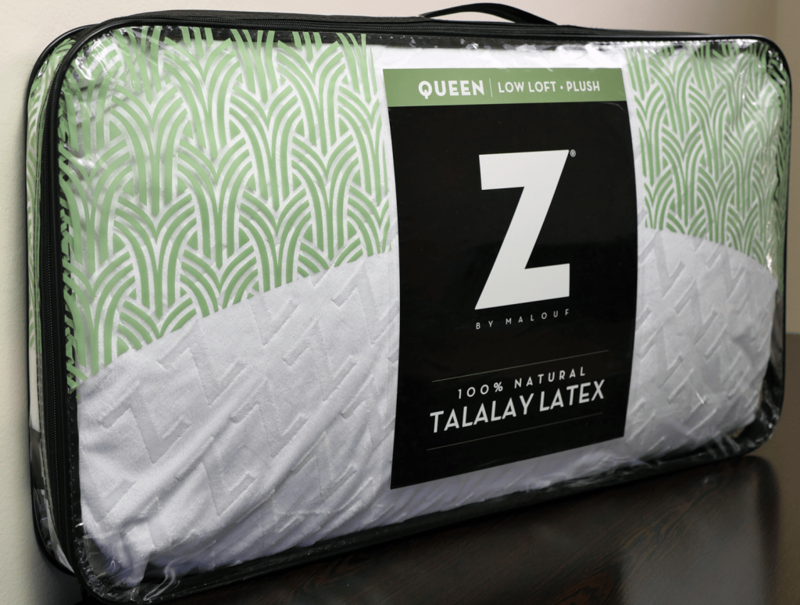 Blended latex is created by blending natural latex and synthetic latex for a pillow that is affordable, but with more of the feel and quality of natural latex. As with anything, some pillows are more successful at this than others. The best latex pillow could ultimately come down to the personal preferences and needs of each sleeper. In terms of the performance and feel of a latex pillow, there will be similarities across the board. Generally, latex pillows have a springier feel and offer more bounce than memory foam pillows. Additionally, the best latex foam pillows sleep incredibly cool and limit heat retention while you sleep. When shopping for the best latex pillow, there are two main options to consider: a solid (often contoured) pillow or a pillow made of shredded latex. The main difference between the two will be overall pillow density and airflow. A solid latex pillow will generally have a denser, more pronounced feel. 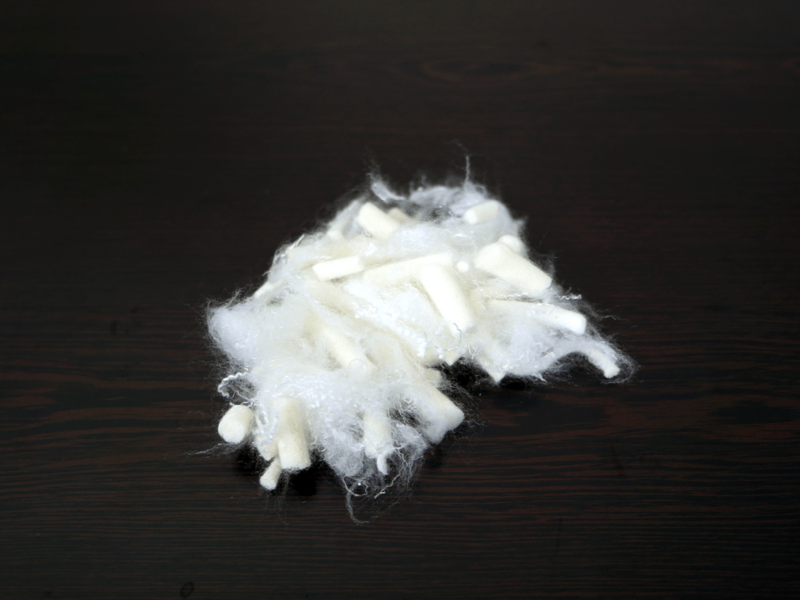 Shredded latex has a bit of a softer feel and the shredded foam allows more air to flow through the pillow, which helps to limit heat retention and offer better cooling. Many shredded latex foam pillows are also adjustable. An adjustable latex foam pillow has one open end that allows sleepers to add or remove material to create the perfect shape and loft for their liking. Should you buy a latex pillow? Want more natural materials – Pillows made from natural latex are constructed from some of the healthiest materials available. Whether your budget allows for an all-natural latex or a more affordable blended latex, both have natural elements and materials incorporated. 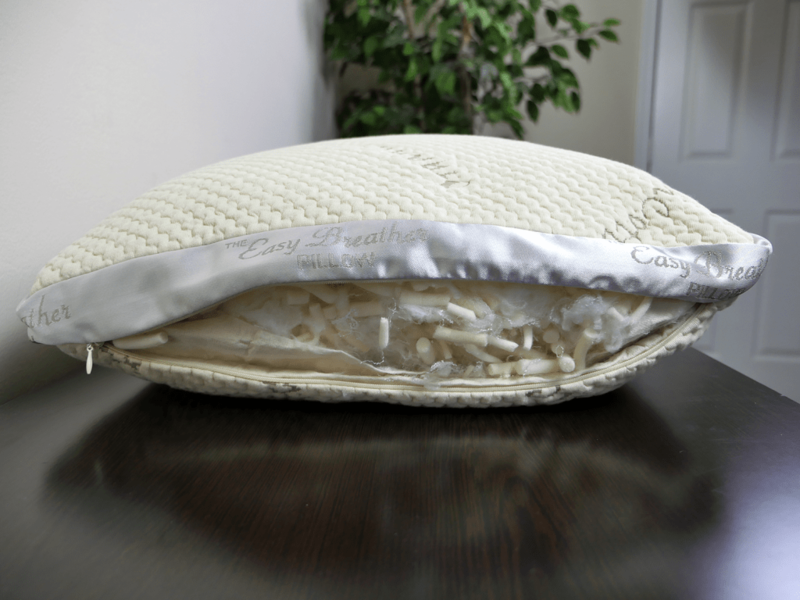 Want a quicker response time – A latex pillow offers a high degree of bounce and support. A quicker response time will prevent a “stuck” or “trapped” feeling along with additional support for deeper compression. Want a hypoallergenic pillow – If you’re a sleeper who suffers from allergies, an all-natural latex pillow is hypoallergenic as well as resistant to mold and dust mites. Adding a pillow encasement will also help to keep allergens at a minimum.